Dr. Christopher Niessen. 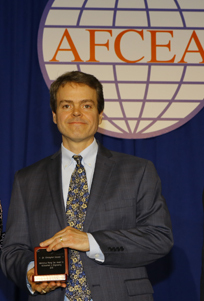 Theta Deuteron '93, was honored at a recent Armed Forces Communications & Electronics Association (AFCEA) international conference held in Baltimore. Click here for the full AFCEA press release. Copyright © 2019 Theta Delta Chi. All Rights Reserved.